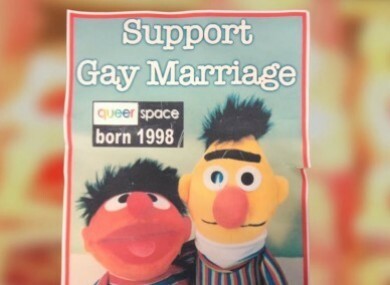 Poll: Do you agree with the verdict in the gay cake row? The owners of Ashers Bakery were found guilty of discrimination. THE COURT OF Appeal in Belfast yesterday ruled that a bakery was guilty of discrimination for not making a cake that supported gay marriage. The owners of Ashers Bakery took their case to the appeals court after a Belfast District Court ruling in 2015. Co-owner Daniel McArthur said the refusal to bake the cake was made on religious grounds. Some Northern Ireland politicians have argued that the rulings impinge on the rights of business owners to exercise their religious beliefs. The judgement noted the cake was “to mark the end of Northern Ireland Anti-homophobic Week” and was later made by a different bakery. We want to know: Do you agree with yesterday’s ruling? Email “Poll: Do you agree with the verdict in the gay cake row? ”. Feedback on “Poll: Do you agree with the verdict in the gay cake row? ”.